Gardening is something that everyone can enjoy and we love to see our young readers getting involved. 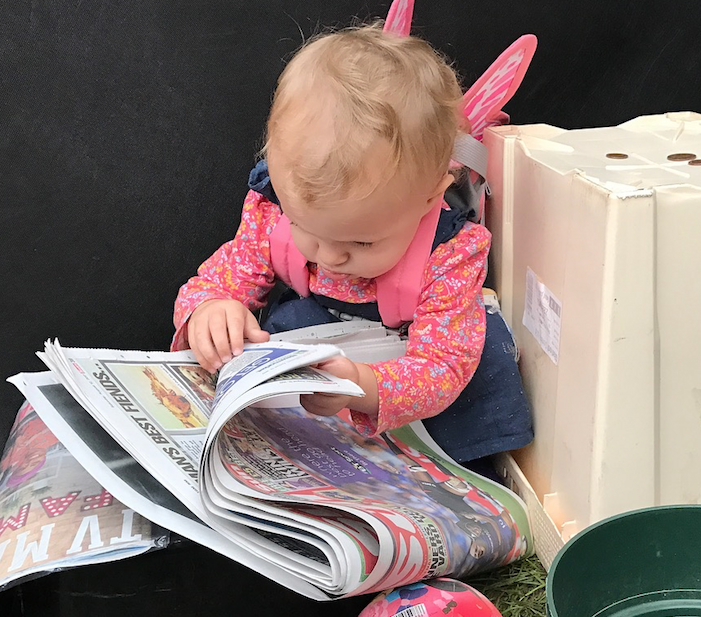 This picture of one-year-old Lucy Devine looking for the gardening pages in her copy of The Sun has inspired us to ask you to send in your photos. Lucy has horticulture in her blood as the newest addition to the Devine Nurseries family of Hollym, north Humberside. We'd love to see photos of your little gardeners (under five years of age) helping out and getting involved with the planting and weeding. Our top five entries will receive a set of Briers' Gruffalo Garden Tools, a Pop-up Bag and Folding Chair (below). Competition closes at midnight on 5 November 2017, full T&Cs apply.